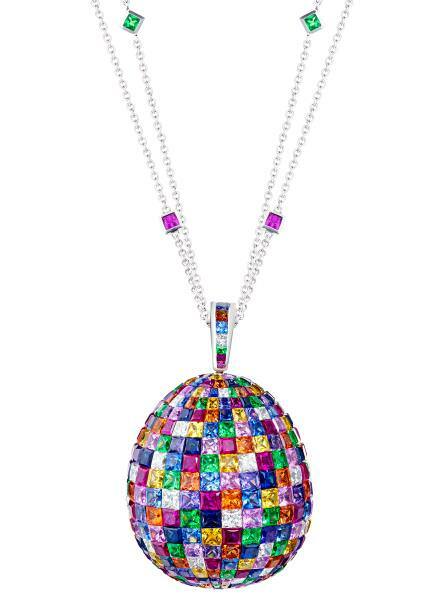 Fabergé, the world’s most iconic artist jeweler, presents the Mosaic Pendants, inspired by the Mosaic Imperial Easter Egg of 1914. 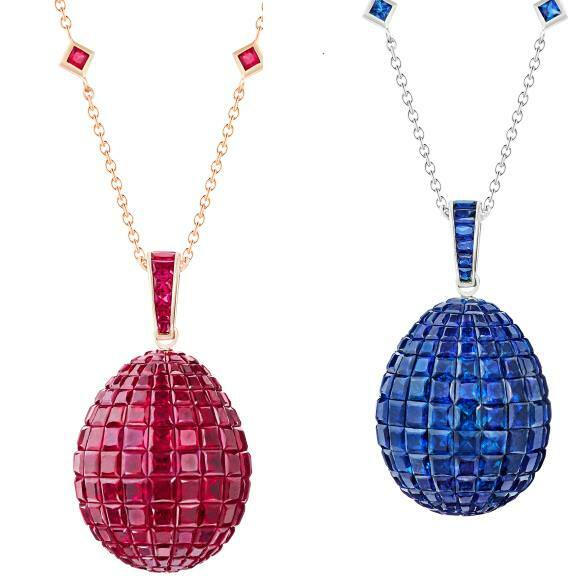 In true Fabergé spirit, the Mosaic Pendants perfectly illustrate the art of colour with three variations, which employ Mozambican rubies, sapphires, tzavorites and diamonds. In honour of the genius of Peter Carl Fabergé, the precious coloured gemstones are invisibly-set, a gem-setting technique that the House of Fabergé pioneered in the early 20th century. It is a skillful technique that uses single-faceted gemstones, perfectly calibrated in a ribbon-like narrow row, allowing the gold setting to remain invisible, creating a flawless mosaic patterned finish.